The generic name for the drug Ritalin, the most commonly prescribed medication for treating children with attention-deficit hyperactivity disorder (ADHD). Methylphenidate is one of a group of drugs called central nervous system (CNS) stimulants. It is used to treat attention-deficit hyperactivity disorder, narcolepsy (uncontrollable desire for sleep or sudden attacks of deep sleep), and other conditions as determined by a physician or other healthcare provider. Psychostimulants such as methylphenidate (Ritalin) are commonly prescribed to treat attention-deficit/hyperactivity disorder (AD/HD). Methylphenidate contributes to the treatment of ADHD by increasing attention and decreasing restlessness in children and adults who are overactive, cannot concentrate for very long, or are easily distracted, and are impulsive. Methylphenidate is intended to be used as part of a total treatment program that also includes social, educational, and psychological treatment. A central nervous system stimulant, methylphenidate is also used to control narcolepsy, a condition characterized by an overpowering desire to sleep. Methylphenidate comes in short- and long-acting tablets. The latter should be swallowed whole, never broken into smaller pieces or chewed. Initially methylphenidate is prescribed in two daily doses of 2.5 mg each, taken at breakfast and lunch time. The dosage is gradually increased until the daily amount reaches 10.0 mg. The dosages should be strictly followed, and since anorexia is an important side effect, the dosages should always be accompanied by a meal or snack. The primary side effect of methylphenidate is growth suppression. Others include irritability, restlessness, agitation, nausea , and headaches. Occasionally it causes sleeplessness, in which case the last dosage of the day should be a short-action tablet. Physicians often recommend regular drug-free periods to combat these side effects. In many cases, a child only takes methylphenidate during the school year. Methylphenidate can be addictive and dosage should be tapered off gradually. Signs of physical dependency include the need to increase the dosage in order to achieve results, mental depression, unusual behavior, and unusual tiredness or weakness. Some medical professionals believe that methylphenidate is prescribed too often. They call for better diagnostic procedures conducted by trained personnel rather than relying primarily on subjective observations by parents and teachers. The dosage of methylphenidate is different for different people. It is important to follow the prescribing physician's orders or the instructions that appear on the label of the container. Do not change dosages unless a physician approves such an alteration. Any serious reaction to the drug, such as shortness of breath, irregular heartbeat, or allergic reaction, should be reported to one's doctor. Less severe, more common side effects include blurred vision, insomnia, drowsiness, gastrointestinal distress (nausea or vomiting ), dizziness , headaches, and possible addiction . Persons taking methylphenidate should be aware of the possible adverse interactions with the following drugs: amphetamines, appetite suppressants, caffeine , chlophedianol, cocaine, asthma medication, cold, sinus and hay fever medications, nabilone, pemoline, monoamine oxidase inhibitors, and pimozide. Methylphenidate is also affected by epilepsy, Tourette's syndrome, glaucoma, high blood pressure, psychosis, severe anxiety , and tics . The use of methyphenidate has been subject to controversy over the last several years. Parents concerned about whether the drug is being properly prescribed for their children should seek out the opinion of the most suitable physician for the type of problems their child is having. If a parent is uncomfortable with a physician's response, they should not hesitate to get a second opinion. Narcolepsy —A life-long sleep disorder marked by four symptoms: sudden brief sleep attacks, cataplexy (a sudden loss of muscle tone usually lasting up to 30 minutes), temporary paralysis, and hallucinations. The hallucinations are associated with falling asleep or the transition from sleeping to waking. Castro, E. A., and R. W. Hill. Getting Rid of Ritalin: How Neurofeedback Can Successfully Treat Attention Deficit Disorder without Drugs. Charlottesville, VA: Hampton Roads Publishing Company, 2002. DeGrandpre, Richard J. Ritalin Nation: Rapid-Fire Culture and the Transformation of Human Consciousness. New York: Norton, 2000. Ferreiro, Carmen. Ritalin and Other Methylphenidate-Containing Drugs. Langhorne, PA: Chelsea House Publishers, 2004. Greenhill, Laurence L., and Bette B. Osman. Ritalin: Theory and Practice. Larchmont, NY: Mary Ann Liebert Incorporated, 2000. Golan, N., et al. "Sleep disorders and daytime sleepiness in children with attention-deficit/hyperactive disorder." Sleep 27, no. 2 (2004): 261–6. Mott, T. F., and L. Leach. "Is methylphenidate useful for treating adolescents with ADHD?" Journal of Family Practice 53, no. 8 (2004): 659–61. American Academy of Family Physicians. 11400 Tomahawk Creek Parkway, Leawood, KS 66211–2672. Web site: http://www.aafp.org/. American Academy of Pediatrics. 141 Northwest Point Boulevard, Elk Grove Village, IL 60007–1098. Web site: http://www.aap.org/. American Medical Association. 515 N. State Street, Chicago, IL 60610. Web site: http://www.ama-assn.org/. American Osteopathic Association. 142 East Ontario Street, Chicago, IL 60611. Web site: http://www.osteopathic.org/. American Psychiatric Association. 1400 K Street NW, Washington, DC 20005. Web site: http://www.psych.org/. National Institute of Mental Health. 6001 Executive Boulevard, Rm. 8184, MSC 9663, Bethesda, MD 20892–9663. Web site: http://www.nimh.nih.gov/home.cfm. "ADHD Medicines." Kid's Health. Available online at http://kidshealth.org/kid/feel_better/things/ritalin.html (accessed November 11, 2004). "Methylphenidate (Ritalin)." National Institute of Drug Abuse. 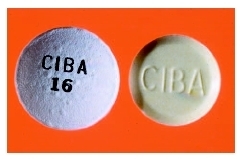 Available online at http://www.nida.nih.gov/Infofax/ritalin.html (accessed November 11, 2004). "Methylphenidate." Internet Mental Health. Available online at http://www.mentalhealth.com/drug/p30-r03.html (accessed November 11, 2004). "Ritalin: Miracle Drug or Cop-Out?" Public Broadcasting System. Available online at http://www.pbs.org/wgbh/pages/frontline/shows/medicating/readings/publicinterest.html (accessed November 11, 2004).